One level living on a very nice street and I don't have to mention how affordable this home is, you already know that! 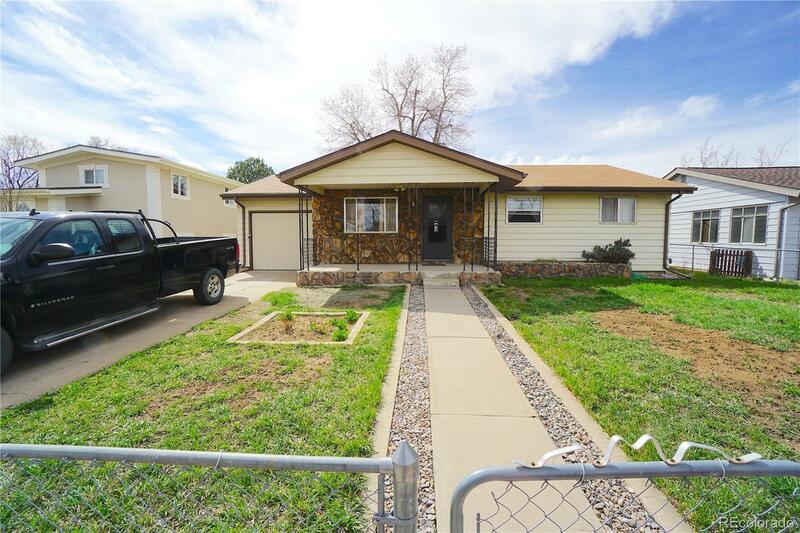 This will be a fast selling home for someone who wants a single family home with a huge nice family room addition and a detached workshop in the back yard with a work bench and cabinets. This home is in overall excellent condition! You can see the quality in the pictures and you must come and see the quality and care in person. The kitchen is fabulous with marble countertops and quality oak cabinets. A new kitchen cabinet work station was added for additional kitchen storage and cooking work space! The owner has reminded me that this is an extra wide street compared to others in the neighborhood. Newer hot water heater and the furnace in the crawl space is about 10 years old. The roof shingles are in good shape. The yard has space and there is a back fence and a front fence over part of the front yard. This is a longtime homeowner who has done a super job maintaining!